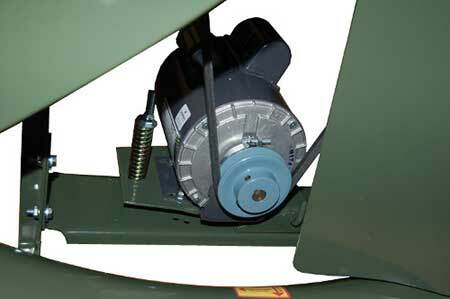 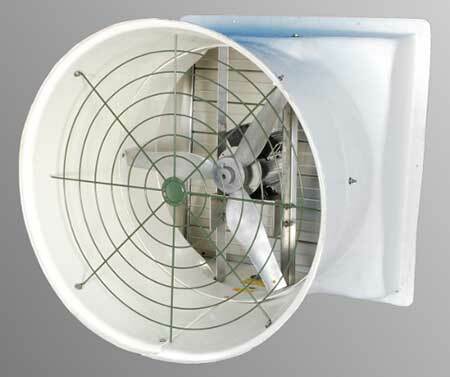 Coolair HAF fans have blades mounted in a tube to give the air more directional throw. 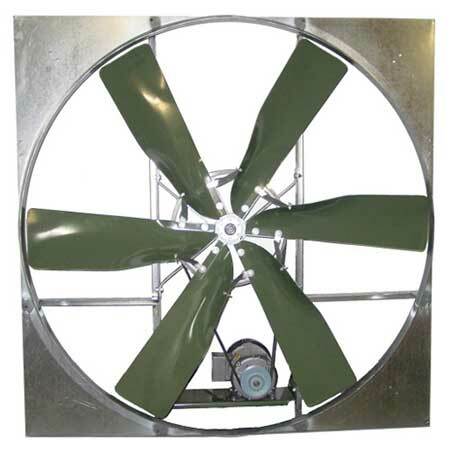 In greenhouses, proper air circulation helps plants grow better by increasing the amount of CO2 at the plant level and reducing condensation on plant surfaces, reducing the risk of disease. 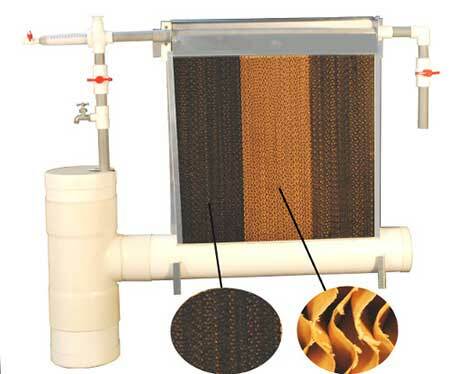 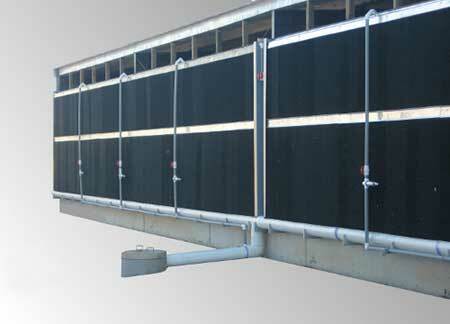 In chicken or other livestock houses, proper air circulation provides even cooling and reduces livestock stress levels. 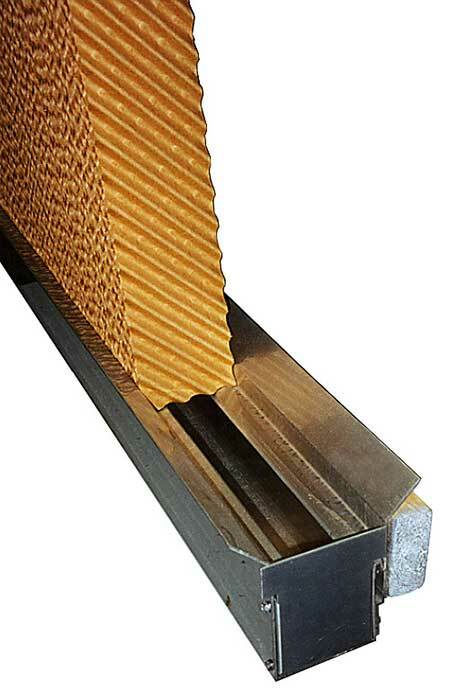 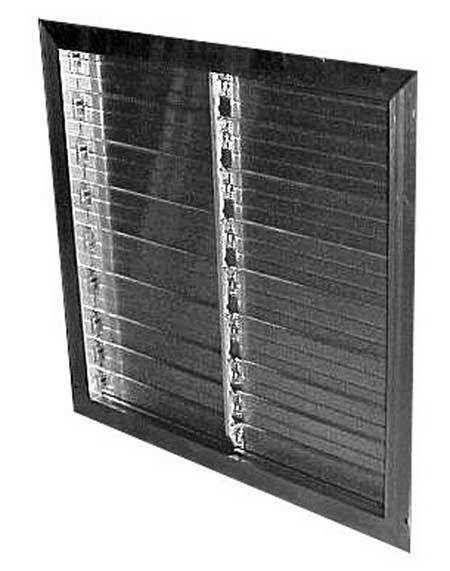 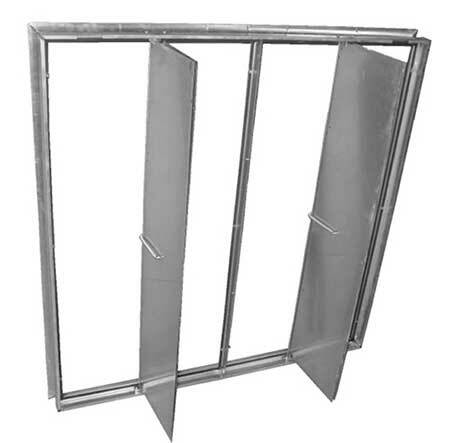 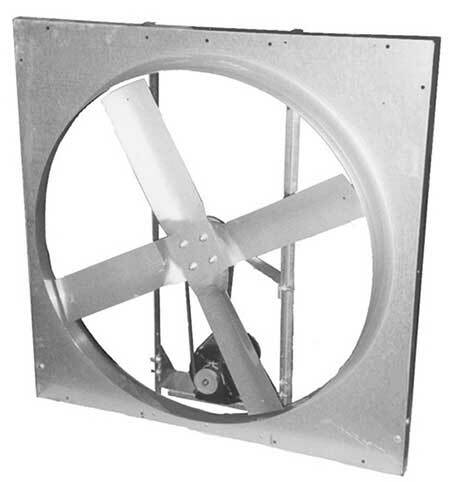 In general, the amount of horizontal airflow needed is 2½ to 3 CFM per square foot of floor space. 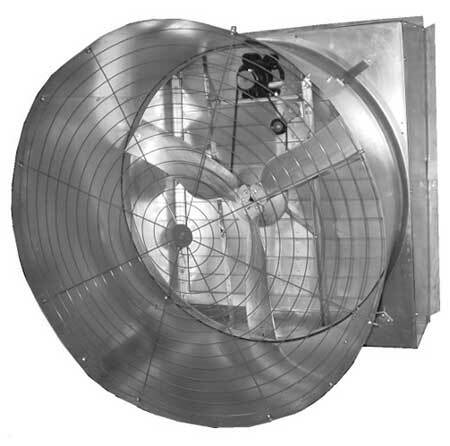 Use the fans whenever the house exhaust fan system is not operating at full capacity. 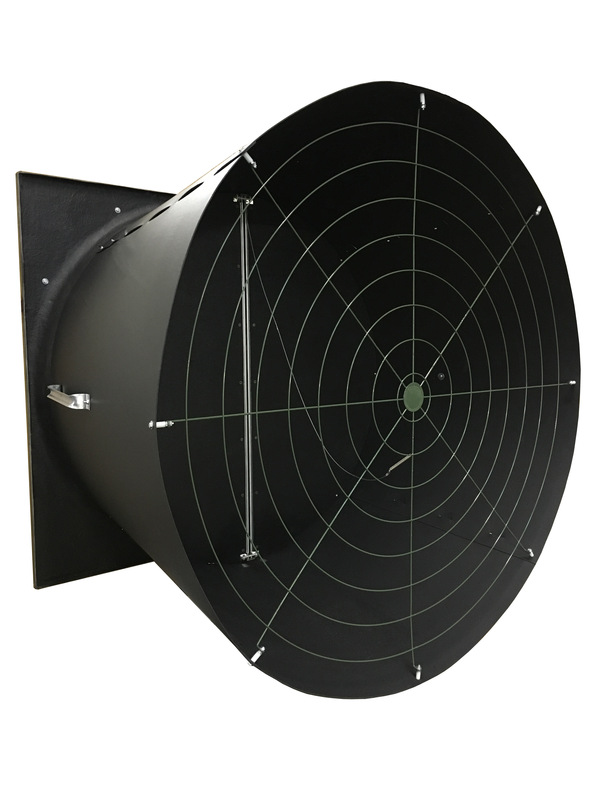 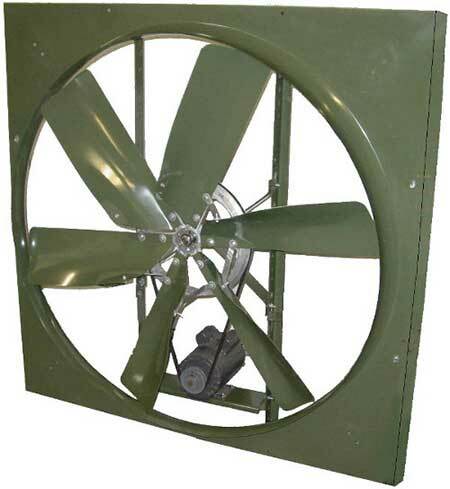 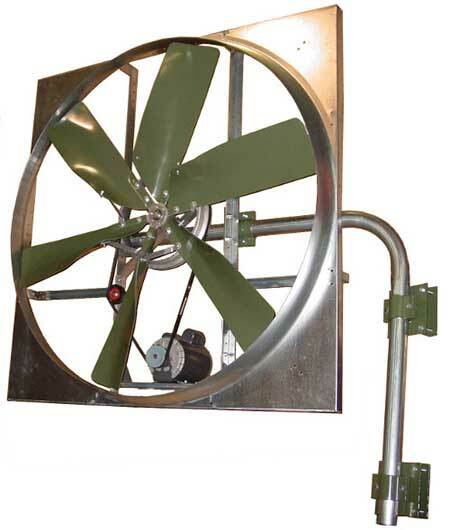 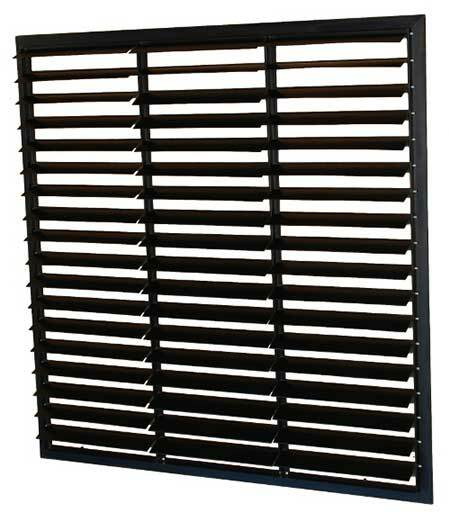 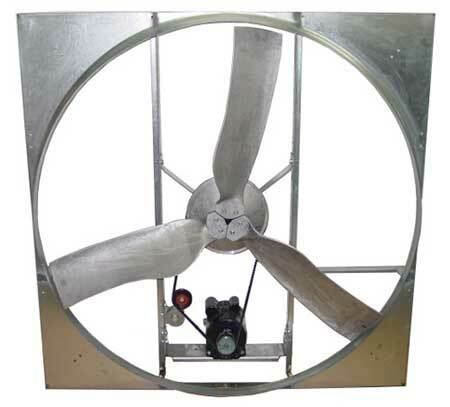 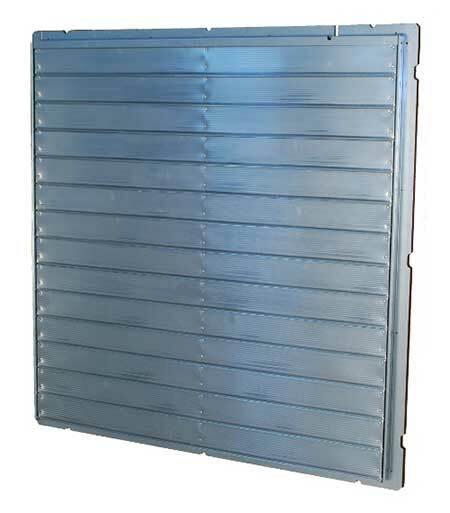 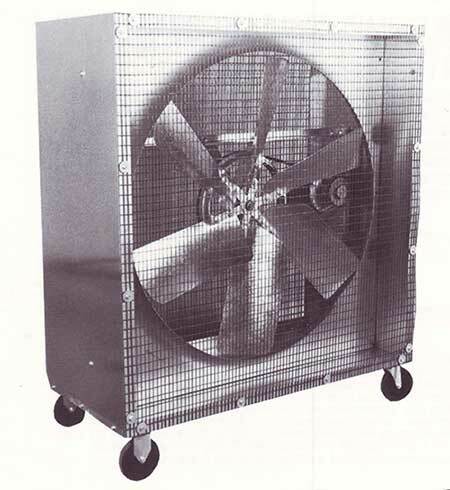 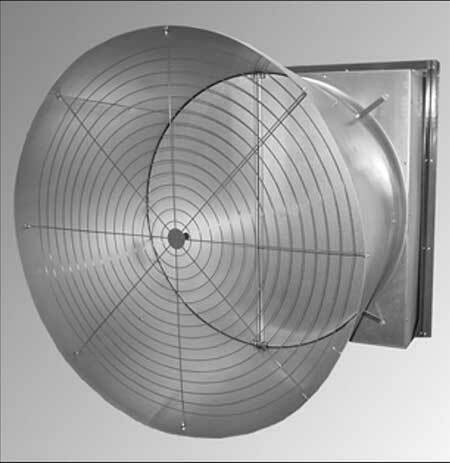 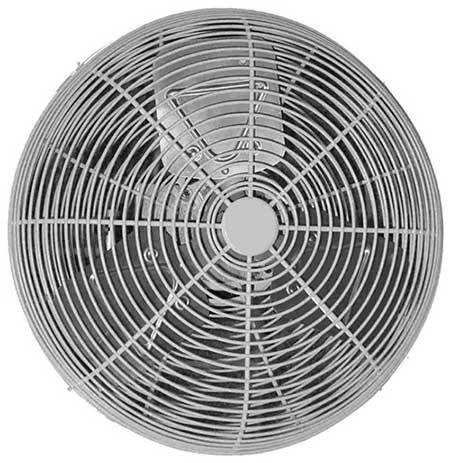 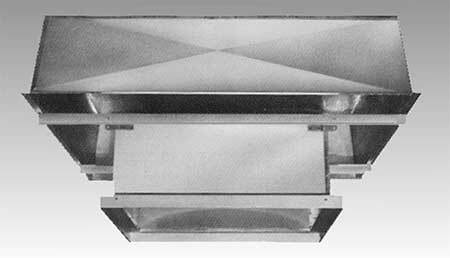 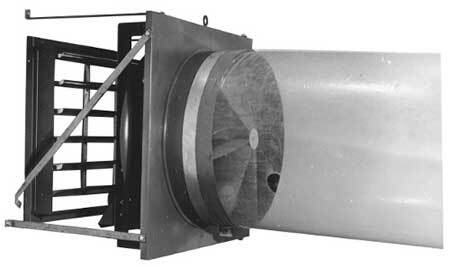 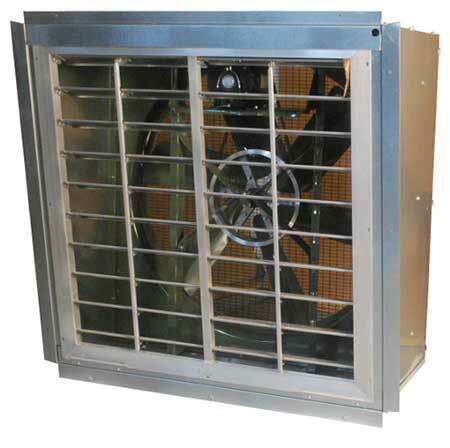 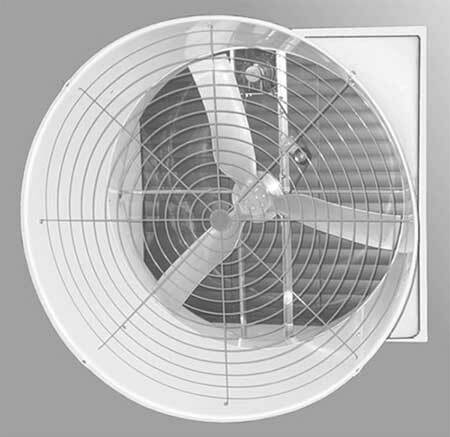 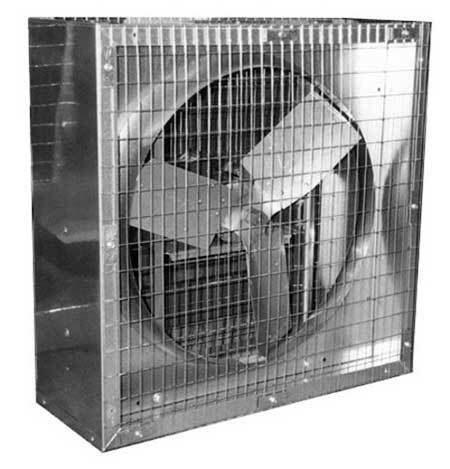 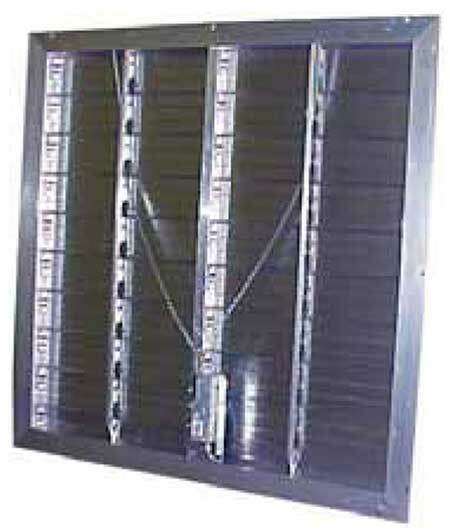 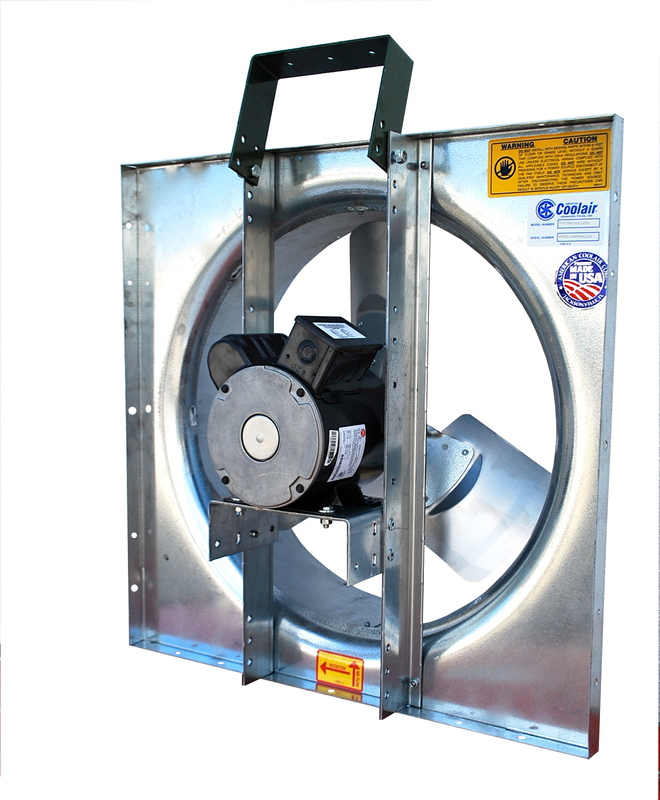 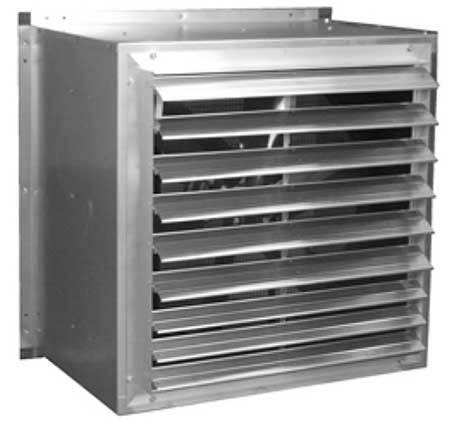 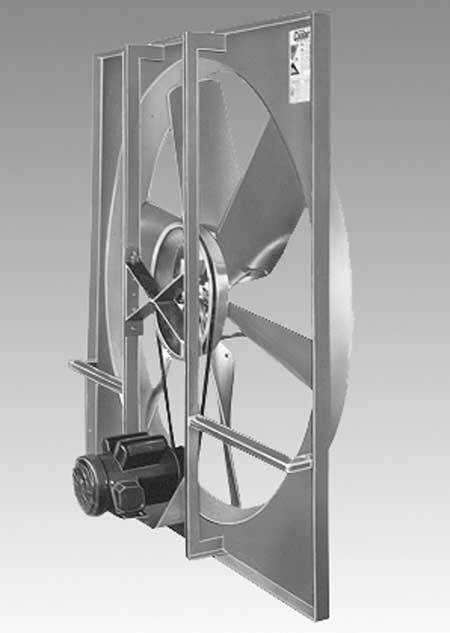 Horizontal airflow fans should be installed between 6’ and 10’ high, but no less than 1’ from the roof. 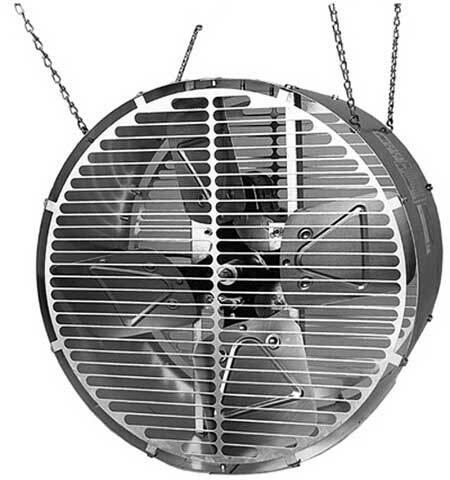 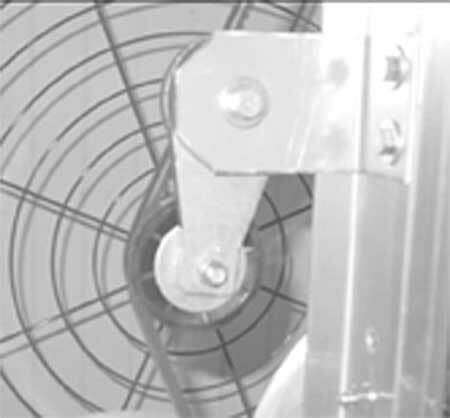 Fans should be placed above the top of the crops or livestock to be cooled.